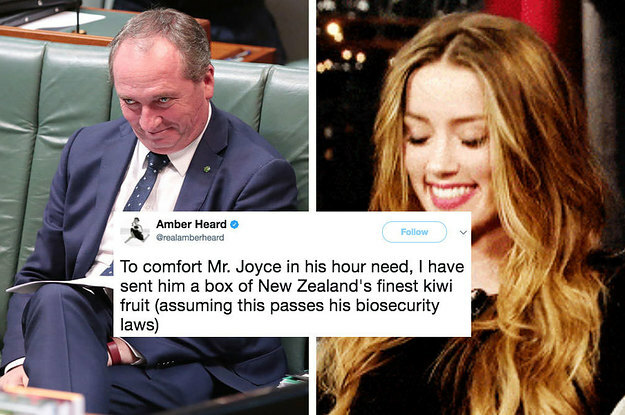 Last year, Johnny Depp and Amber Heard were charged with smuggling their dogs Pistol and Boo into Australia by then Agriculture Minister, now Deputy Prime Minister, Barnaby Joyce. If the dogs didn’t “Buggar off” back to America within 72 hours, Joyce threatened to kill them. The pups got shipped off, the Depps were fined and forced to film a much-ridiculed public apology. Now, it appears that Barnaby Joyce might be ineligible for public office due to dual citizenship with Australia and New Zealand. And nobody’s loving it more than Amber Heard. She has spent the day tweeting jabs at Joyce, mocking his predicament. What did Johnny Depp do? He spent the day meeting with patients at a hospital in Vancouver, BC dressed as Captain Jack Sparrow. He spent 5.5 hours meeting with every single patient, not breaking character once. The key word here is character. Johnny shows that he’s got it. Instead of taking the high road, Amber Heard acts like a bully on the playground, demonstrating a staggering juvenile lack of class.